Spa Intercontinental is decorated in pale hues, with hints of silver, all pearly and luxurious. It’s rather like stepping into a sea shell. The spa is on the 36th floor, so you also get an impressive view of the city around you. 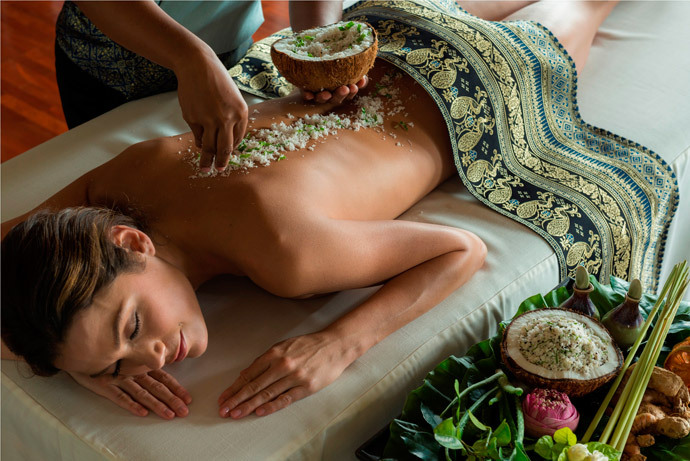 Why Spa at InterContinental Hotel is special ? One of the most relaxing and enjoyable spas I have been to in Thailand. Always high class, high quality treatment and facilities. Therapists are all highly trained and the reception staff is top-notch as well. Very good get-away from all the chaos on the streets below as its located on the 36th floor. Enjoyed the message with my wife. Even thogh we have the foot message but was very good experience. Specially on the roof and was at night very ausome view of the City of Bangkok.